The name Marrakech originates from the Amazigh (Berber) words mur (n) wakush, which means "Land of God". 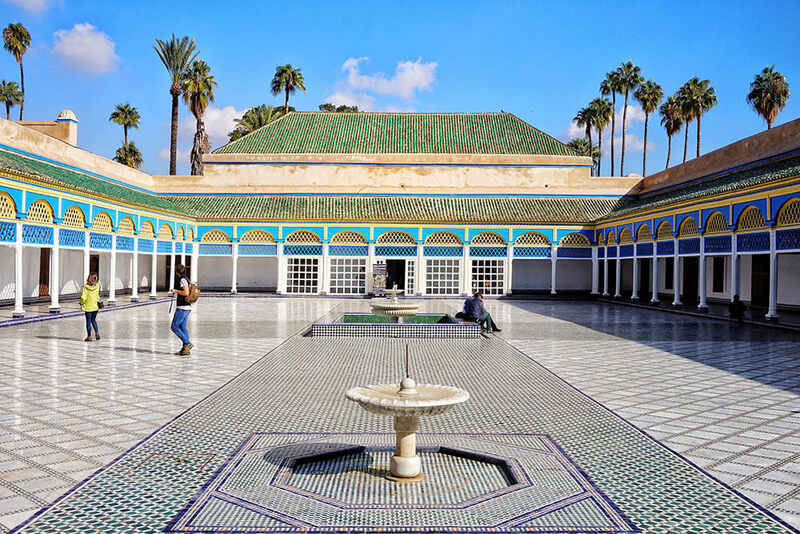 It is the third largest city in Morocco after Casablanca and Rabat, and lies near the foothills of the snow-capped Atlas Mountains and a few hours away from the foot of the Sahara Desert. Its location and contrasting landscape has made it an enviable destination in Morocco. The palace of Bahia (palace of the beautiful, the brilliant) is a nineteenth century palace of eight hectares located in Marrakech. It is one of the masterpieces of Moroccan architecture, one of the major monuments of the country’s cultural heritage and one of the main places of tourism in Morocco. 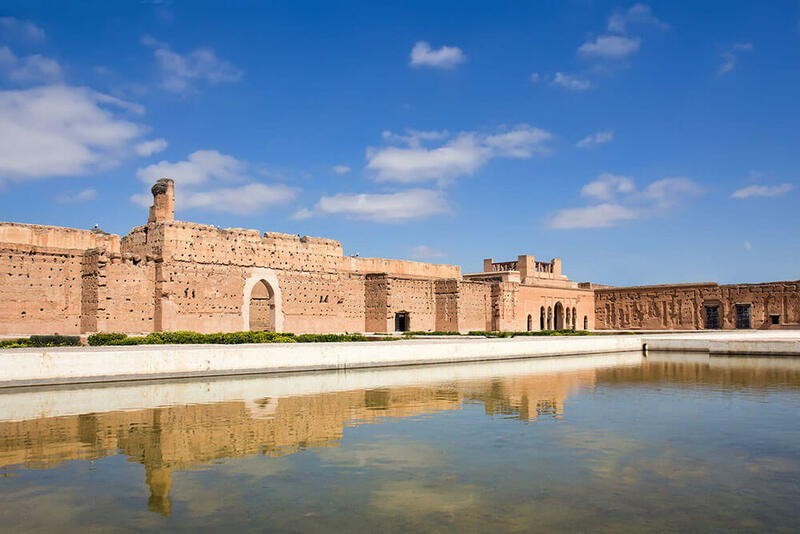 The El Badi palace (sometimes spelled El Badiî palace or El Badia, literally “Palace of the incomparable”) is an architectural ensemble built at the end of the sixteenth century and located in Marrakech in Morocco. Former palace, it was built by the Saadian sultan Ahmed al-Mansur Dhahbi to celebrate the victory over the Portuguese army, in 1578, in the battle of the Three Kings. The Almoravid Koubba is situated next to the Marrakech Museum, and around 40 meters south of the mosque of Ben Youssef. 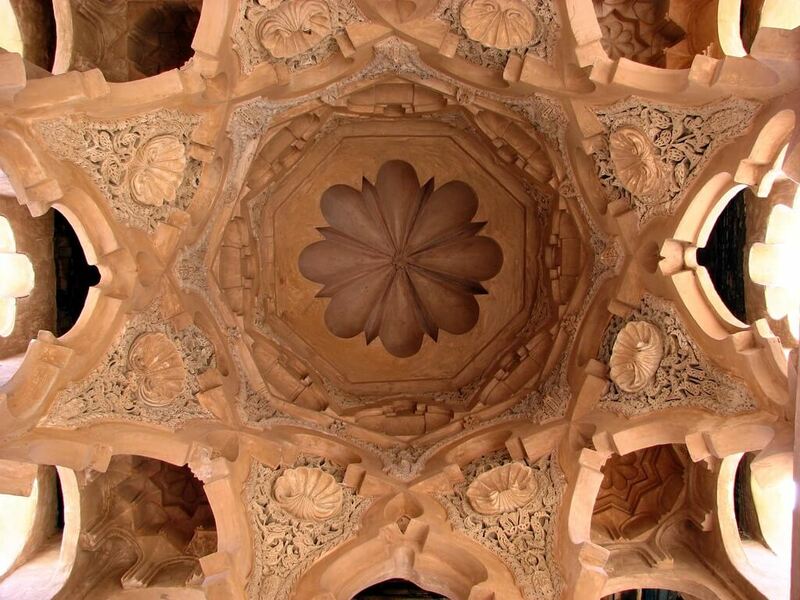 It is the only surviving example of Almoravid architecture in Marrakesh.